London's Jane Pettigrew has joined American tea writer Bruce Richardson in creating the latest definitive guide to teas throughout the world. Beautifully illustrated, this classic book gives detailed information and brewing instructions for over 80 teas. Chapters on the newest information about tea and health, tea production, tea blending and tea hospitality are included. 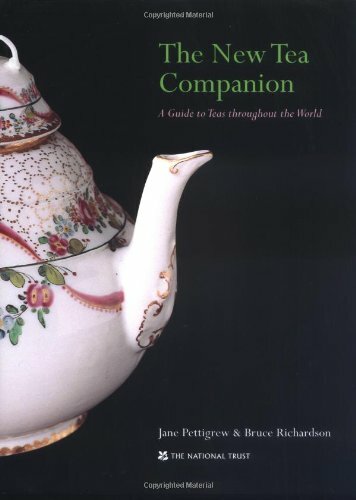 This book is a valuable up-to-date addition to libraries of both tea novices and professionals. If you have ever wondered about the time and temperature to brew your teas - white, green, black, or oolong - this is the book for you. Jane Pettigrew became involved in the world of tea after opening her teashop in southwest London in 1983. Since then she has written ten books on tea and one on coffee, including The Social History of Tea. She served as editor of Tea International and the tea editor for Tea and Coffee International. She speaks regularly around the world at professional tea conferences and has consulted with many of the fine hotels of London for their afternoon tea service. Bruce Richardson is the author of five books on tea including The Great Tea Rooms of America and The Great Tea Rooms of Britain. He is a frequent speaker at tea events across America and a regular columnist for Fresh Cup magazine. He has been a tea importer and blender for many years and is the owner of Elmwood Inn Fine Teas and its publishing division, Benjamin Press, located in Perryville, Kentucky.